My daughter Devadharshini is smart and highly motivated. She is blessed with the power to spread happiness and smiles everywhere. She has a wonderful imagination and she tells us many stories that she thinks up every day. I have always been surprised at her imagination and creativity. Sometimes she introduces a character with severe leg pain because she has it but she also comes up with an instant solution. There is no hate and illness in her world but that world is now slowly fading. She is coming closer to reality and I can't bear to see my daughter in unbearable pain and losing her hope. 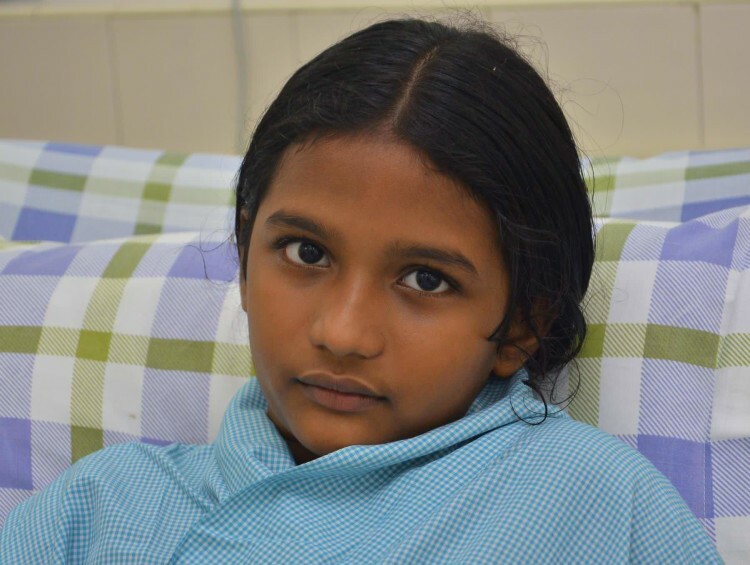 When she was 4-year-old, she had weakness in her left hand and left leg. Her leg was slightly bent. We took her to hospital and doctors said it would be normal as she grew up and we believed it. She took physiotherapy for the weakness, but over the years it only got worse. She complained of a headache, we got her eye test done and everything was normal. We never thought it was something serious because she was still very active and energetic. When she turned 8, she became weak. It is very unusual to see her tired. She complained of severe pain. We took her to a bigger hospital this time, MRI scan was taken, we were least prepared to hear the results. Nothing could have prepared us for this. It was a big blow. Doctors said that she has arteriovenous malfunction in brain which means she has an abnormal tangle of blood vessels in the brain. It causes bleeding in the brain. At first unbelieving, and then denying it and willing with all of my being that it not be true, I had no other option but to come in terms with it. My daughter had seizures last week. This was the first time I really saw the cruelty of the disease. She is very weak and doctors say that it is only the beginning. She needs three sessions of endovascular embolization where the blood vessels to the brain are blocked so she can have a save brain surgery. Any delay will lead to loss of vision, or inability to understand things, severe unsteadiness and even difficulty in speaking. My daughter's life is at risk and the impact of the disease chokes me up everyday. I feel close to death. I don't know where I can get the strength from. My daughter is the my source of happiness and strength and she is struggling. She is experiencing fear and uncertainty for the first time. She has a lot of questions for which I don't have any answers. My daughter loves to go to school and she enjoys reading. She is longing to go to school. She is lying in her bed all the time, not able to play with her elder brother Guhan (10). She no longer has stories to tell, nothing excites her. All she can talk about is pain. My little daughter now complains of her pain and knows nothing beyond that. She is scared that she might not be able to walk again because such is the pain. I'm not able to console her, she can see that I'm broken too. I want to give my child everything. She knows that I will not let her down. I cannot live in the happy, make-believe world that my daughter used to live in. My love alone is not enough to save her. Treatment requires money. She used to ask me why I work day and night? I tell her I work for her and her brother, for their future. Now I feel that I have betrayed her. Her life is at risk and I'm helpless. Doctors have told her that she can get back to schools and she will be perfectly alright if she takes all her medicines on time. She is doing her part. She wonders why she is not taken to the hospital yet. How can I tell her that I don't have money for the treatment? My daughter is smart, she must know that I'm helpless. I can't imagine the trauma and pain she is going through. 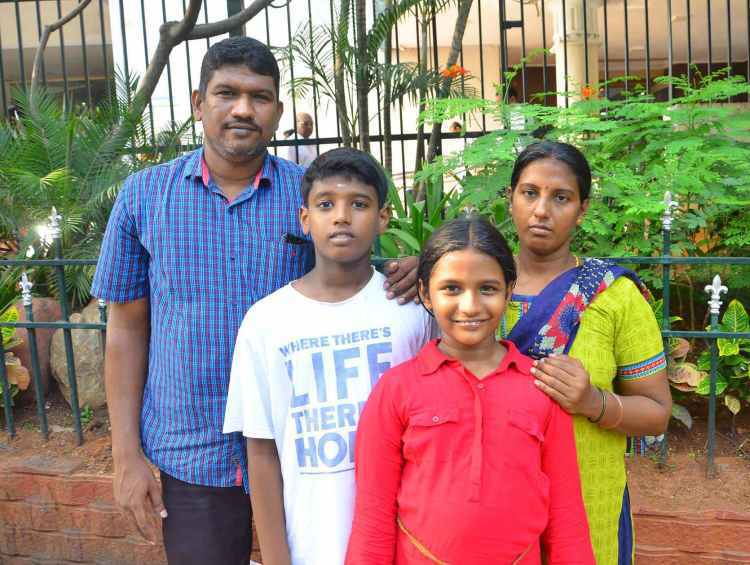 Devadharshini's parents cannot afford the treatment. I earn Rs 300-500 per day on an average. I'm the sole breadwinner of the family. My wife Sasikala is devastated beyond words but she forces herself to be strong to support my daughter. We are running out of time. Our world is falling apart. My daughter has a painful journey ahead, I can't let her suffer and can't imagine losing her at any cost. 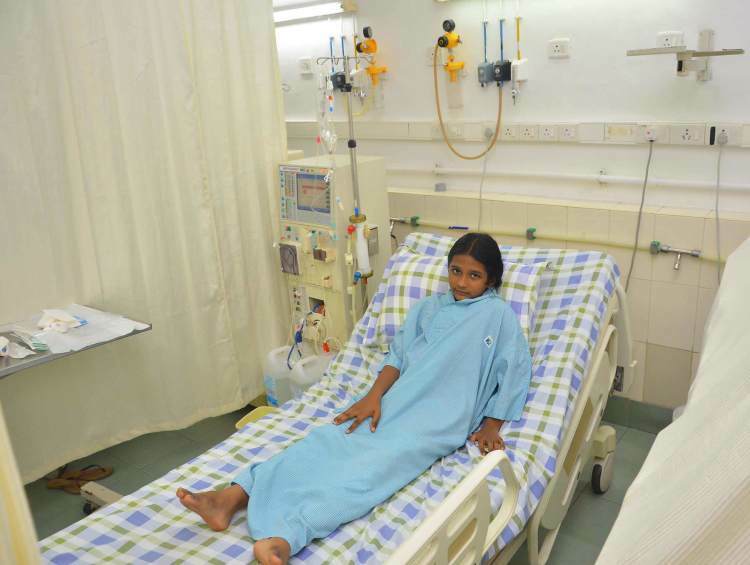 Treatment requires Rs 22 lakhs which is beyond my means. Only your support can help her. Your contribution can give her a chance to live! 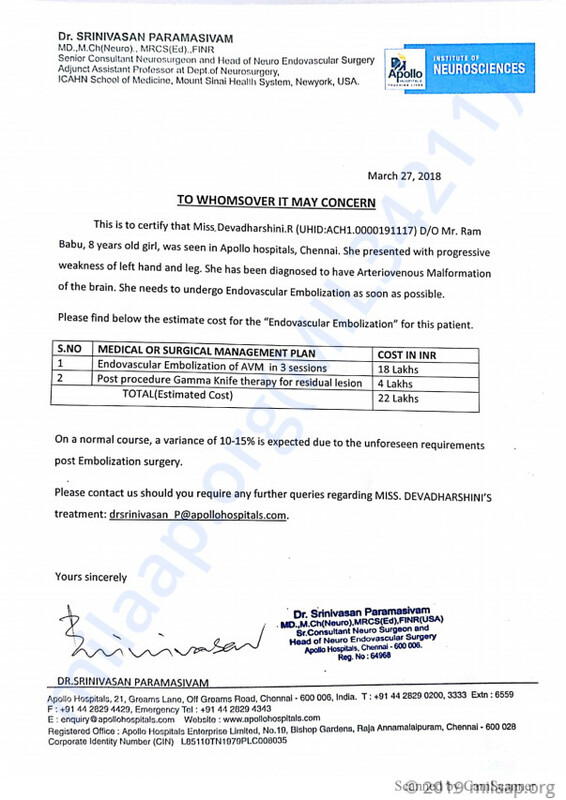 Here is an update on Devadarshini. He has undergone 2 surgeries and she had a post surgery complication on the backside of her head. Her 3rd surgery is scheduled on November this month. We are thankful for the support and blessings all of you have showered on Devadarshini. I kindly request you to pray for her speedy recovery. 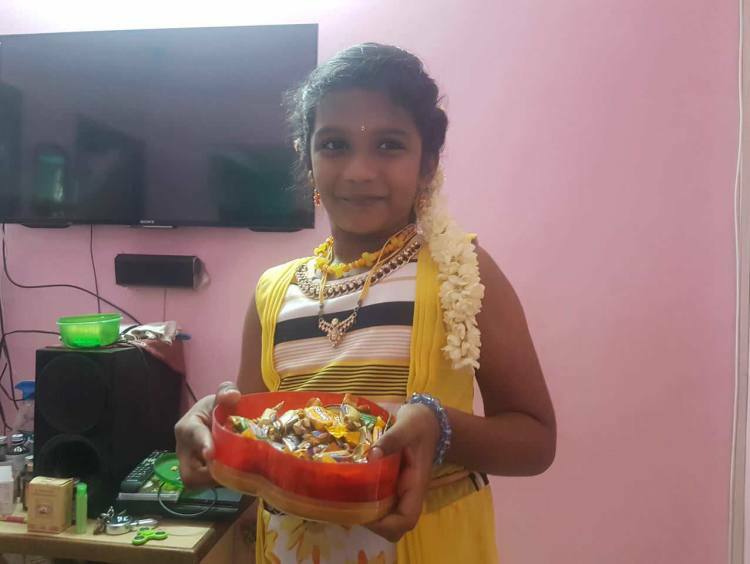 Devadharshini is now doing okay. 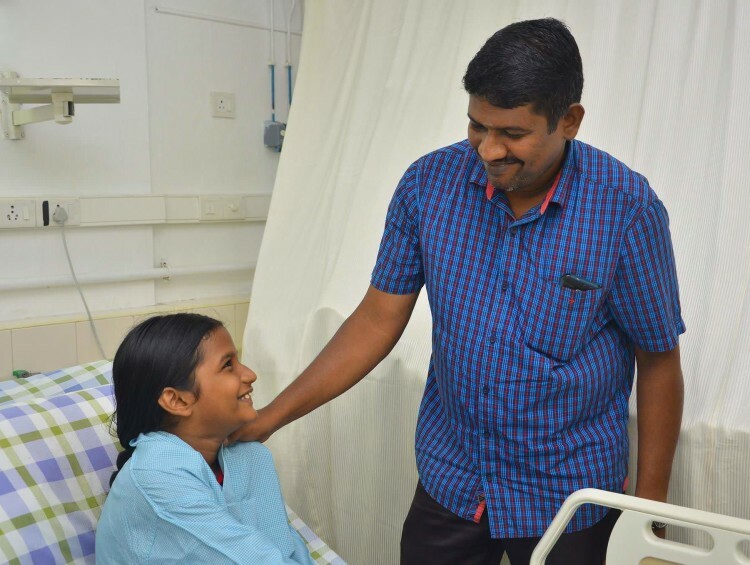 She is undergoing treatment and the doctors had advised a total of three operations, out of which, one has been done already. The next operation will be schedule in about three months' time. We need more funds to be able to support her medical treatment. Please keep supporting us and praying for our daughter. Thank you again! May Almighty ALLAH grant her health and Hidaya.